Betty Cade Drake, age 82, of Knoxville, TN, passed away peacefully at her home on Sunday, March 31, 2019. She was a loving, devoted, and compassionate mother, grandmother and wife. Betty was a 1954 graduate of Austin High School. After 25 years at Oak Ridge National Laboratory, she opened Ms. D's Restaurant, where she enjoyed preparing delicious, down home, soul food to the Knoxville community. Preceded in death by her parents, Eddie and Mary Cade; sister, Annie Mae Bailey; and brother, Eddie Leroy Cade. Left to cherish her memory are husband, Richard L. Drake; daughters, Traci (Michael) Long and Kelli Drake; grandchildren, Donovan, Destini, and Drake Long; sisters, Euretha (Ira) Yarbrough, Mary Louise Beatty, Octavia (Baffin) Harper, and Brenda Joyce Brown; brother, John Thomas Cade; sisters-in-law, Maxine Cade, Dora Jane Smith, and Cherry (Josephus) Thompson; adopted son, Andre Moore; a host of nieces, nephews and special friends. 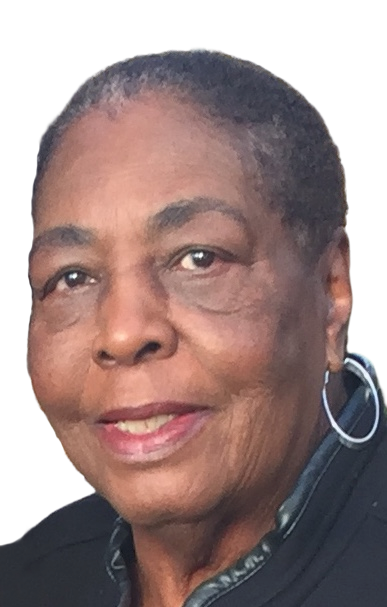 Saturday, April 6, 2019, the family will receive friends from 11:00 a.m. to 12:00 p.m. with funeral service to follow at Mount Calvary Baptist Church, 1807 Dandridge Ave, Knoxville, TN. Reverend Leroy Franklin officiating. Entombment will immediately follow at Sherwood Memorial Gardens, Alcoa, TN, where a white dove release will conclude the service. Flowers may be delivered to the church the morning of the service. Professional arrangements entrusted to Patton Funeral Home, Brian L. Buckmon, LFD 1-800-824-8283 or www.pattonfuneralhome1962.com.